Thanks for taking a look at the new blog! For most of the past six months I’ve been posting a handful of pics on Flickr every week, but towards the end of the year I started craving a better way to distribute/display my photos. Flickr is fantastic for hosting images, but the default image size on their photo page is much smaller than I’d prefer, and pretty much every user’s page looks exactly the same. I decided to start this blog to provide a space where I can show photos at a much larger size and in a more unique setting. Also, since I finally got a “real” camera last fall (a Nikon D90) and started experimenting with HDR photography, I’ve held off on putting new material online until I could get this blog up and running. Needless to say I’m extremely excited about sharing some of my recent work in the coming months. I’m planning on posting twice a week, every Tuesday and Friday (starting tomorrow). If you’d like to get the posts automatically, click the RSS button up top or enter your email address in the form to the right. And of course, any feedback on the design/layout of this site would be appreciated! Well… can’t have a photo blog without a photo, right? Here’s the last pic I uploaded to Flickr before taking a month off to produce more material and set up this blog. 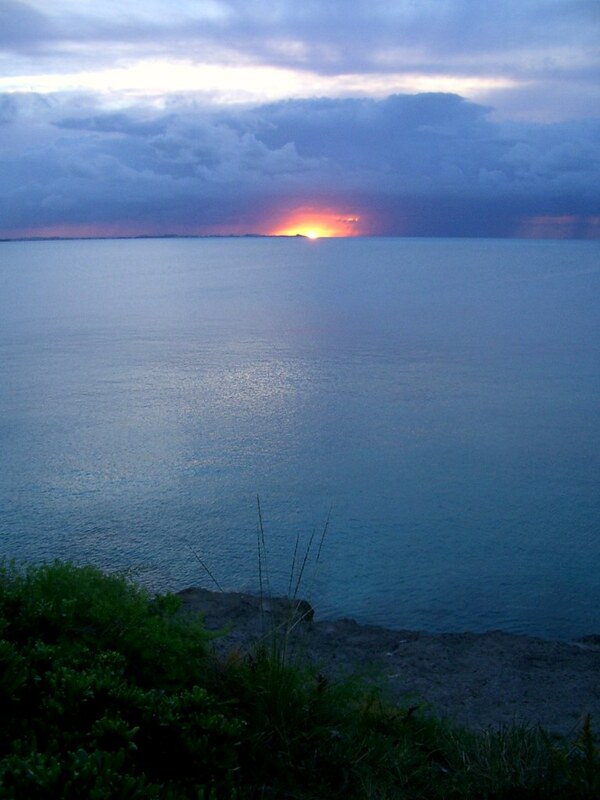 It was taken near the end of the summer in 2004, while on a company trip to Bermuda. My friend Cobey and I rented scooters the morning after we landed and ended up putting hundreds of kilometers on the bikes in the three days we were there. While heading back to the hotel one evening we pulled over to take some shots of the storm clouds moving across the other side of the bay. This photo was taken somewhere along North Shore Road; the sun is setting almost directly over the Royal Naval Dockyard that occupies the tip of the peninsula on the northwest corner of the island.